Use the slow cooker to make this classic Indian dish and let the aroma of chicken masala permeate your kitchen and get everyone excited for dinner. Substitute tofu and vegetable broth for the chicken and chicken broth for a vegetarian version. Per Serving: 461 calories; 15g fat; 54.3g carbohydrates; 32g protein; 93mg cholesterol; 2178mg sodium. This was really good! I veganized mine and took out the chicken, and used vegetable stock. This is a hit at my house! 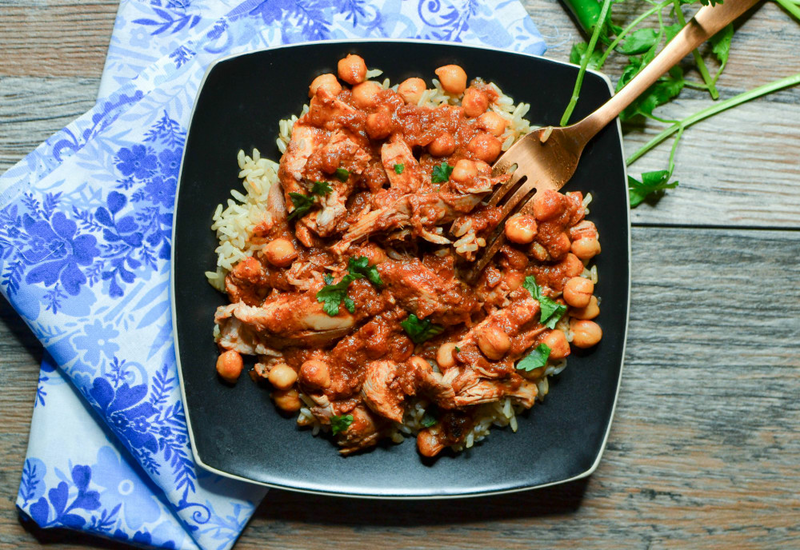 This chicken and chickpea masala was delicious. I usually put it on in the morning, run my errands, and then before long it's ready to go. Perfect for serving with rice and naan bread.